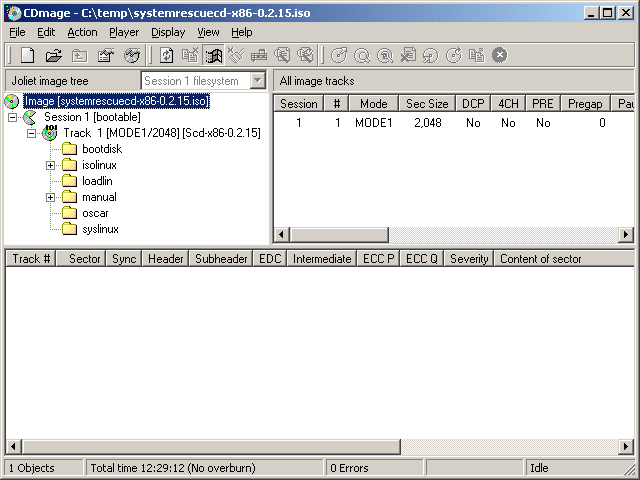 CDmage is a utility that performs various tasks on common CD image formats such as ISO, BIN, BWI, NRG etc. It allows you to explore the filesystem in the CD image, extract files, extract and convert tracks into any compatible format, repair corrupted sectors etc. This is an indispensable tool for working with CD images. Note: Download links seem to be broken. Linking to VideoHelp download. V1.02.1 Beta 5 available from Softpedia. How to extract: Download the self-extracting EXE and extract to a folder of your choice. Launch CDmage.exe. Hate the animated icon, but the program still works great! A note added to the entry. Thanks.